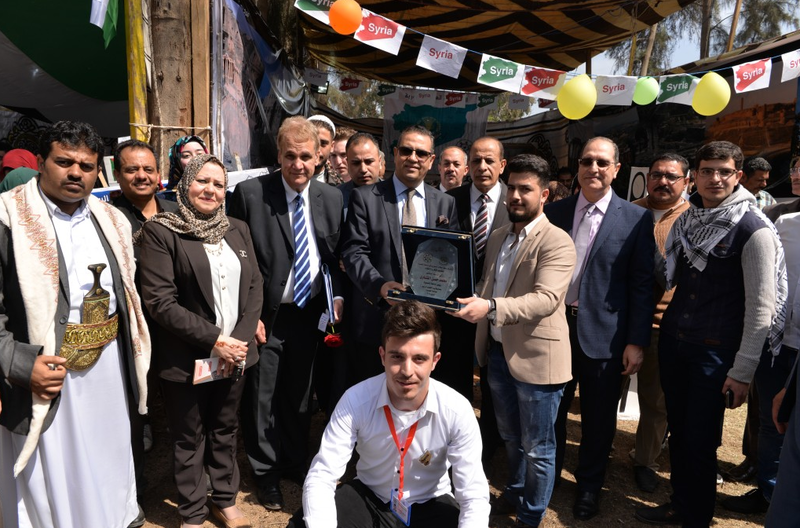 The Fourth People's Festival for International Students "Egypt faces terrorism" was launched on Tuesday 13th March 2018 with the attendance of 16 ambassadors and cultural attachés. Under the patronage of prof/ Mohamed Kenawy – president of Mansoura University and organized by the international relations – Mansoura University. The festival was attented by the Ambassadors of Iraq, Mauritania and Yemen, the Delegate Minister of the Embassy of Malaysia, the Saudi Cultural Counselor, the Cultural Counselor of Bahrain, Yemen Palestine, Amman, the Kuwait, Jordan and Somali and the Sudanese consul. Its worth to mention that Mansoura University is keen to organize the festival to introduce international students to different cultures from different countries of the world.